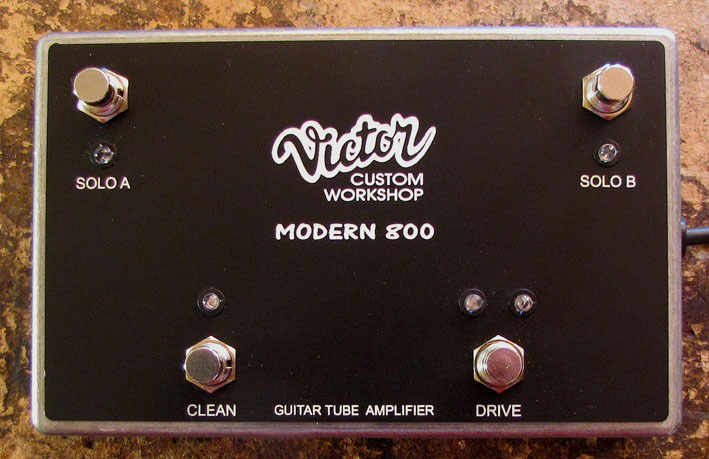 MODERN 800 – this is tube guitar head for pro and home usage 30/3W. 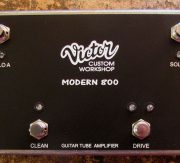 CLEAN: BASS, TREBLE, VOLUME, BRIGHT switch . FX LOOP: SEND, RETURN . Switches: ON/OFF/SOLO–>SOLO A/SOLO B. 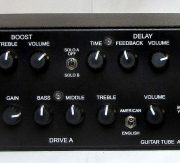 BOOST: BASS, TREBLE, VOLUME. 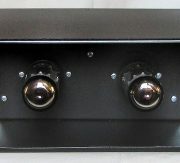 Switches: SOLO A/SOLO A&B/ SOLO B.
rear pannel 4/8/16 Ohm (30wт) / 3W/MUTE(internal load and mute speaker). Tubes: 12AX7/ECC83 X 4, EL34 X 2.